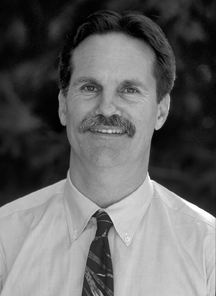 After 22 years as a director of Westmont’s San Francisco Urban program, Steve Schultz is stepping down to seek new challenges. A lot has changed for the San Francisco Urban Semester since 29-year-old Steve Schultz became director in 1982. Located far from Santa Barbara, the experiential education program was not well known on campus. The staff included Steve and one other instructor, and students lived and studied in a less-than-ideal building on Jackson Street. 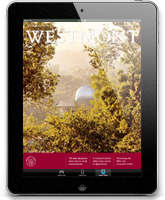 Without changing the focus on student internships in the city, Steve has worked to integrate the program into the Westmont curriculum and to make it a liberal arts experience. He has also raised its visibility and reputation. The expanded staff (three professors, a resident director and an administrative assistant) has also strengthened the program. But the biggest change came with the 2002 purchase of a new facility, an historic Victorian mansion. 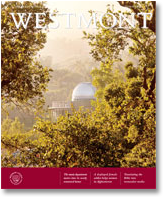 Steve came to Westmont from St. Olaf College in Minnesota, where he worked for another urban program. He had graduated from St. Olaf and earned a master’s of divinity degree at Pacific Lutheran Seminary in Berkeley, Calif., before taking the job.